The college is dark, illuminated by the sun it is darker still, body stained and ravaged by the wind, the rain and time itself. Stubbornly it seems it almost as if it stands simply to spite the natural elements that seek its ruin. Its sharp edges and straight lined stone seems to revolts against nature, refusing to age gracefully. 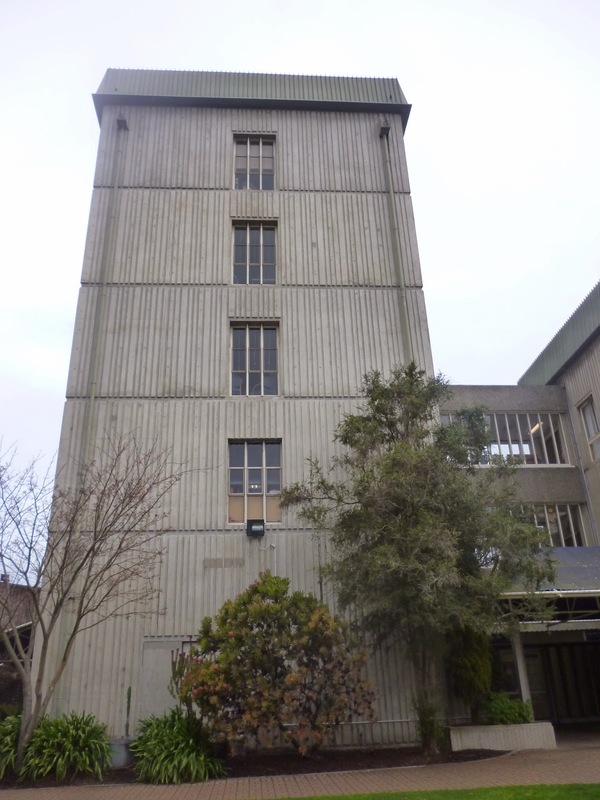 As the college of education its contents are a stark contrast to its grim outward façade and the almost violent impersonal lines of the building itself. Paper clambers the grey concrete walls like a hoard of insects, delicate and yet unstoppable; it scatters across the wall a hotchpotch of gaudy finger-paintings, red green and blue in the small hands of a child. Somehow this dichotomy only lends itself to feelings of unease. When empty and only one or two people drift through the wide sterile corridors it is reminiscent of images of Chernobyl, it feels cold, abandoned with these bright colours simply haunting its walls; images of cheer that only forces the mind perceive its surroundings as more brutal and desolate. This building was designed by Davidson in 1968 as a replacement for the old college of education which had burnt down a couple of years prior. 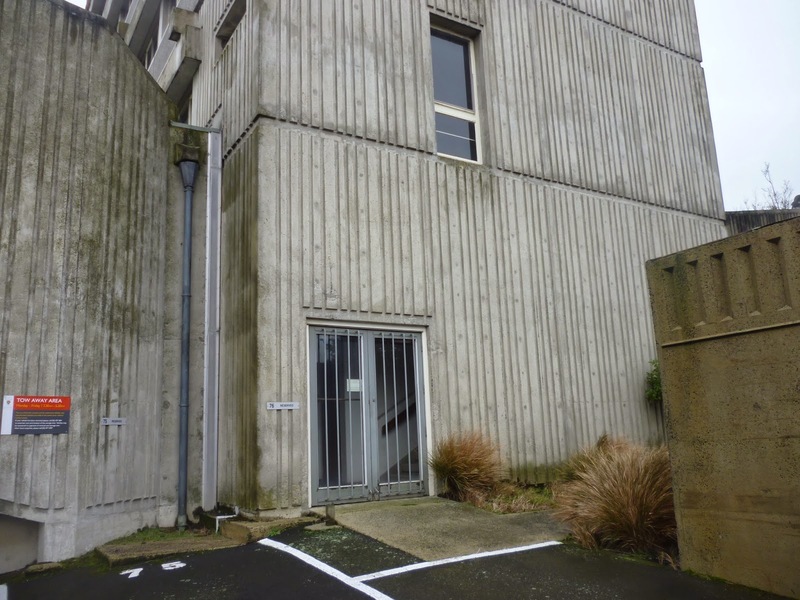 The college is part of a wider collection of modernist buildings that are scattered throughout both the university campus and the wider Dunedin area. 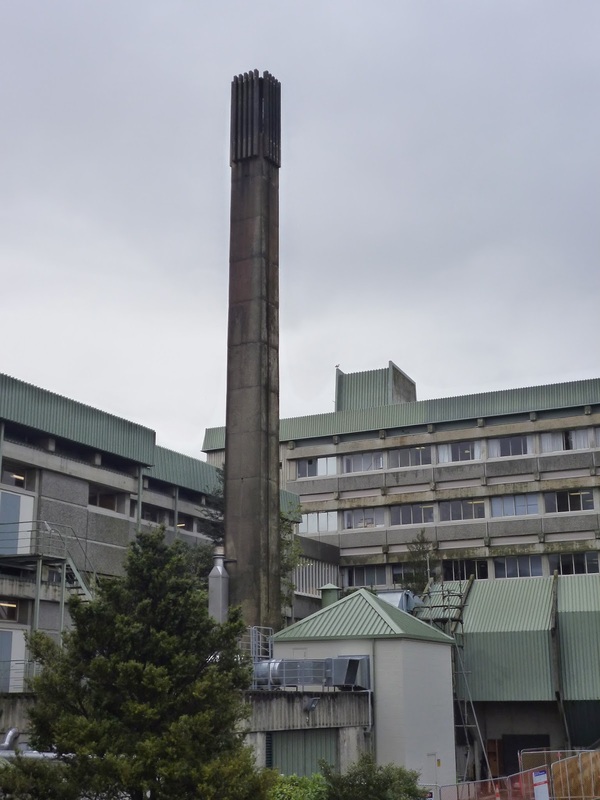 As a building the college of education looks industrialist with a large metal chimney protruding from the back. Its surroundings include the Leith River which includes a split concrete channel and an iron bridge further adding to its industrial modernist element. Some attempts have been made to soften the buildings harsh exterior, cherry trees have been planted along the outside walls and curves have been added to the exterior. 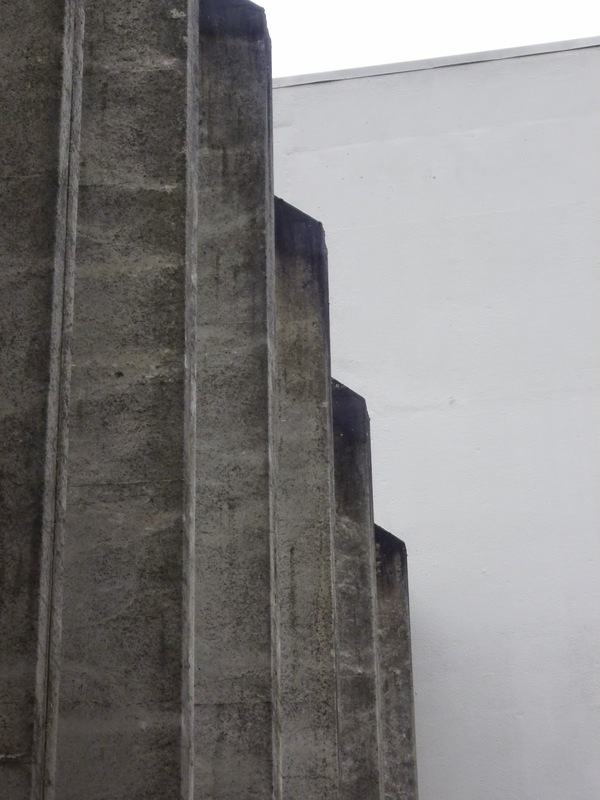 Despite this, as a piece of architecture this building retains an imposing presence overshadowing its entire area with its concrete rich material and grid inspired design.